By Chris Scott Barr on 05/12/11 • Leave a comment! There are a lot of things to consider when you’re looking for a computer case. Everything from the size, physical appearance, and even the amount of noise it puts off go into your decision. You might not think that last item is all that important, but there are plenty of situations where a noisy computer can be a nuisance. Sure, you can drown out loud fans with music, but you shouldn’t need to do that. 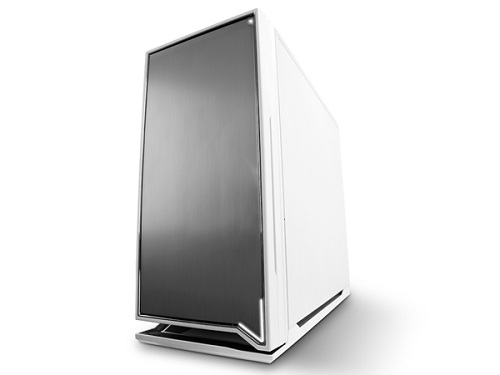 Instead, you can get a silent case, such as the NZXT H2. This chassis has more to offer than just sound-dampening foam to keep it quiet. 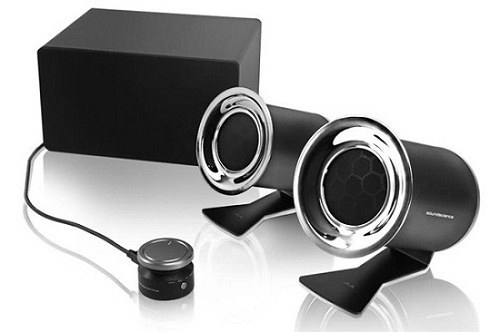 Extra features such as USB 3.0 support and a a built-in hard drive dock make this one worth a second look. But do these features make this case stand out enough to make it a must-buy for your next PC? Check out the full review over at GamerFront to find out. By Chris Scott Barr on 04/11/11 • Leave a comment! When I first saw this mouse I wasn’t too impressed, compared to other gaming mice it was lacking the initial wow factor that draws you to it. The M3x offers an on the fly DPI adjustment, however you must pick between eight predetermined settings (no customizing here). The eight options are associated with a colored LED so you would have to memorize which color coincides with each resolution. The DPI selection is on a cyclic system, in other words you have to cycle all the way through to get to a lower DPI. I found this irritating, and almost counter-productive. By Chris Scott Barr on 03/31/11 • Leave a comment! 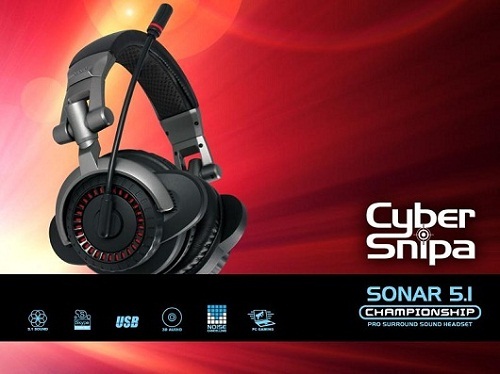 Last we were lucky to receive the Sonar 5.1 Championship PC Gaming Headset from Cyber Snipa. I was fortunate to be able to take this headset to the past LAN War at Indiana University and really put it through the gauntlet so-to-speak. After a long tandem of hourly gaming, I’ve got the stats on this superior headset. The Cyber Snipa Sonar 5.1 Championship headset is a bit unlike any other headset I’ve used. The design is really top-notch, and to be honest, it just looks really cool. It’s very comfortable on the top of your head, but you may run into problems if you have large ears like me. The ear pieces are comfortable, but smaller than they look. I first thought I could turn them, which would be cool, but they’re fixed and won’t slide.After a while, though, you don’t really notice the issue, so it’s not a big complication. About a week ago we posted an article about Roxio’s newest gem in the hardware industry, the Roxio Game Cap device. The device makes it very possible, and simple, to record your console gameplay (whether it be PS3 or Xbox 360), save it on your PC, edit the video, and even post it to Youtube or Facebook! We were able to get our hands on one of these devices, and I have been toying with it nonstop. Roxio also will be introducing PC game capture software, but we have a bit to wait on it. 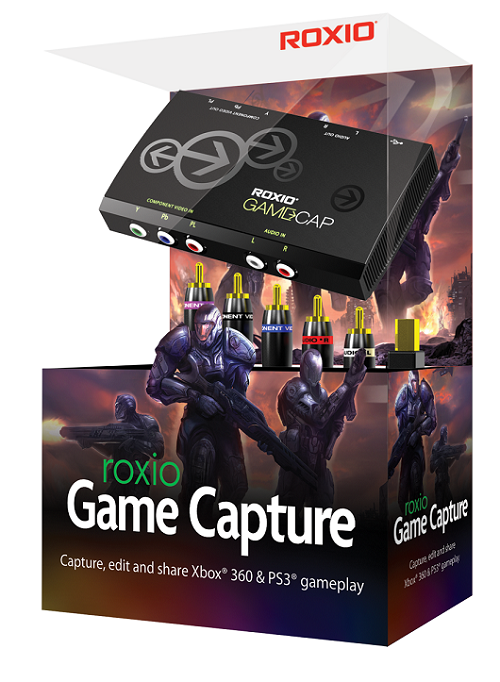 This is our review for the Roxio Game Cap console capture device. I will admit that I am a newbie when it comes to capturing gameplay video. I’ve just begin to dabble in the realm of Let’s Plays, and my video editing skills, although more advanced than some, are a bit rusty. One of the cool things about this device is the ability to plug-and-play. Setup was simple, and the software has an amazing interface. For now, let’s focus on the device itself. By cmuncy on 03/22/11 • Leave a comment! Playing games on the iPad is terribly fun and takes up a lot of my time. One of the main problems I have; such as the common problem with Dance Dance Revolution, is forgetting where buttons are located, as it’s on a flat surface. With a dance pad, it’s easy to constantly forget where the arrows are as you try to follow what’s on the screen more than you look at your feet. This is the same case with the iPad, as in a game, you focus more on what’s happening on the center of the screen as opposed to where the controller is. There are many times that I’ve been trying to go through a door and moved my hand ever so slightly away from where the on-screen controller is. Recently the Ten One Design: Fling iPad game controller showed up on my doorstep and all I can say is thank goodness. It’s sometimes hard to play a game when there’s no tangible controller. The Fling is a very simple but effective way to help you keep track of your controller and make your iPad gaming experience 10 times better than it would be otherwise. The design is simple, lightweight, and extremely effective. Every so often, video game companies revamp their controllers. They change the color, add a few dollars to the price, and release them with a moderately sized ad campaign. But, more often than not, the “new” controller offers very little difference and ends up falling flat. 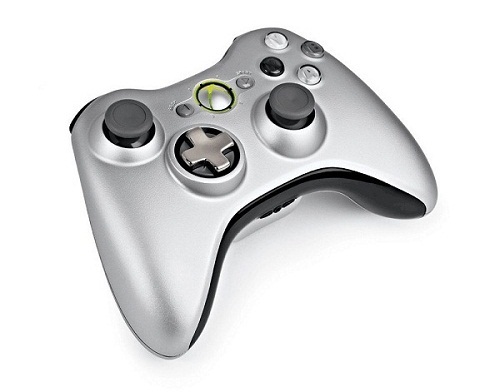 Not too long ago, Microsoft launched the new Xbox 360 controller with the new transforming D-pad and color scheme. The price is on average $64.99 and at first glance you would probably have the same opinion I did, “Fifteen more dollars for a new paint job and a fancy D-pad? Forget about it!” However, upon closer inspection of the packaging, you will discover it comes bundled with a charge and play kit which, is normally priced at $19.99. After finding out about the charge kit I decided why not save five dollars on a battery pack and get a new controller? By Chris Scott Barr on 03/15/11 • Leave a comment! When you’re in the market for a a notebook mouse, you have plenty of options to choose from. However, when you really start looking closely, you’ll find that most of them are very similar. Sure, one might have an extra button or two here, or maybe a slightly different shape. Rarely do you find one that’s truly different. The Smartfish Whirl would be one of those rare devices. Today I’ll be sharing my review of the Whirl. 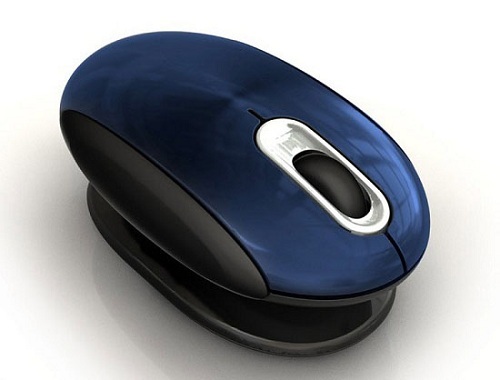 When first observed, you might think that the Whirl was an ordinary notebook mouse, sitting on top of something. Upon closer inspection, you’d find that the thing it’s sitting on is actually a part of the mouse. 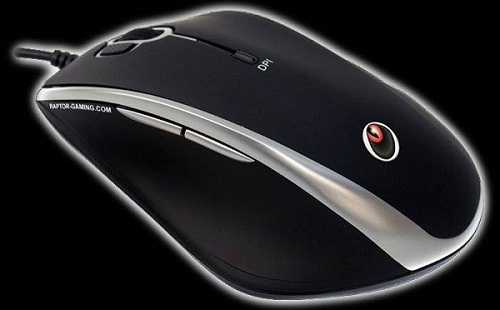 The plastic stand is what makes this mouse different from pretty much every other one on the market. The stand is only connected at a small point at the bottom of the mouse. The mouse is able to pivot on this point, providing a unique mousing experience. Rude Gameware isn’t the most well-known brand in PC gaming peripherals, but they are trying hard to make a name for themselves. 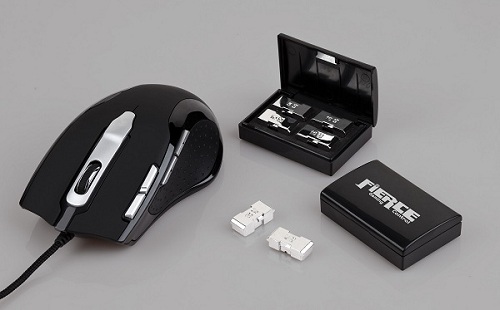 They’ve recently released an update to their Fierce Gaming Mouse, dubbed v.2. When looking at the two, you can tell that they have made quite a few changes. So many, in fact, I hardly put the two in the same league. Rude’s first foray into the world of gaming mice resulted in a rather generic and boring-looking product. This time around you can see that they’ve spend some more time on the presentation. Black plastic along the curves and silver buttons provide just the right accents to make it a little more noticeable. You’ll also find a braided cord and different colored LEDs under the middle button to indicate the current DPI settings. Overall, it isn’t the most flashy mouse, but certainly not one I’d be embarrassed to have next to my keyboard.